Annie has never been the sort of person to have nightmares. But since the fires on the mountain, her dreams have changed. They have developed a pattern, as though the fire changed the landscape of everything inside her. The ridges and curves. Her dreams are steady, the same things flickering across each night. Ash and bubbles and dark water that movs like waves. Since the fires, since leaving her nana on the mountain, Annie has dreamt of ash. She’s dreamt of drowning. A year ago, Annie was visiting her grandmother up the mountain when a terrible fire ripped through the area. Since leaving her nana behind to die, Annie has tried to keep her life in the city from completely falling apart. But her daughter, Pip, is traumatised, her husband Tom is angry, and Annie herself is haunted by what happened. Now, she needs to go back to her childhood home to try to get her mother’s life back on track. But being there also means confronting her own demons, and helping Pip find equilibrium. Ache is a moving story of survival and rebuilding in the face of adversity. A whole family, and a whole community, have been impacted by the fire, and Jones captures the range of emotions and experiences which might be expected from such an event as well as examining the ways survivors can find a new normal in order to move forward. i am the girl many loves. the girl who writes our story in the book of flying. i am alice. they sewed me up when I was twelve. mended my broken head with fishbone stitches. tucked my frayed edges in. tucked everything in. things meant to be and things not. do it quick. stem the flow. stop life leaking out of alice. that’s all they wanted. so gram said. Alice Nightingale is fifteen and longs to be all that fifteen year old can be. But when she was twelve something terrible happened and now when she speaks people can’t understand her – won’t understand her. So she writes instead, poems which she scatters around town – and on the wind. Manny James, who is alone as Alice, runs at night, trying to escape the memories of his past as he tries to make a new life in Australia. He finds a poem, treasures it, and wonders if it came from the girl he sees sitting on the roof of the house near the river. 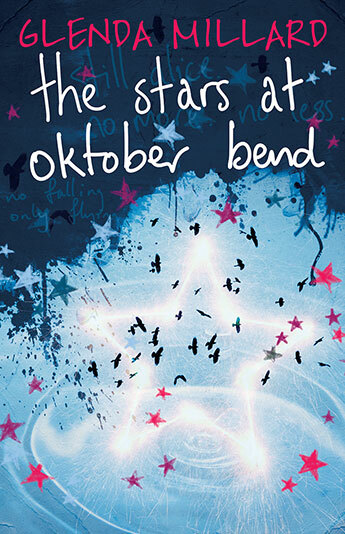 The Stars at Oktober Bend is the beautiful, haunting story of two wounded teens who together strive to make sense of themselves and of the world around them. Alice must overcome the troubling events of her past, and the way her family has splintered, while Manny must adapt to life in a new country, the loss of his family and the terrible effects of war. Author Glenda Millard manages to give both characters authentic, wonderful voices. Poetic, shocking and movingly perfect. It crossed her mind that she should say something before she left this lonely place. Something about the death of innocence, the deep remorse that would follow her always; but she didn’t. The inclination made her feel ashamed. It is 1933 and sixteen year old Alice Edevane is blissfully happy. She has just finished writing her first mystery novel, and she is secretly in love. As her family prepares for their annual Midsummer-Eve party, Alice prepares to offer both the manuscript and herself to Tom, the object of her affections. But not only are her hopes dashed, but something far bigger, far more terrible, will befall the family before the night it out. Seventy years later, Detective Sadie Sparrow finds herself taking enforced leave after getting too involved with a case. Staying with her much-loved grandfather in Cornwall helps to fill the time. When she stumbles across an abandoned house in the woods, she uncovers the mystery of a baby boy who disappeared without a trace in 1933. Her interest aroused, she becomes determined to solve the mystery. When Alice Edevane, now elderly and a successful author of detective novels, learns of Sadie’s interest in the case, she it first resistant to having the case reopened. But perhaps together they can uncover the truth and bring closure to the past. 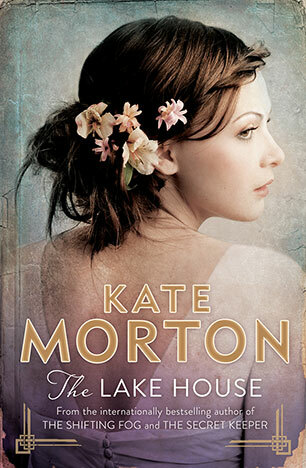 The Lake House is a well-woven story of mystery, heartache and love. While the mystery creates a link across the seventy years, so too do themes of motherhood, loss, and dealing with trauma. Alice’s father is, unbeknownst to his children, suffering from his time at World War 1, and Sadie is haunted by having given a baby up for adoption at the age of sixteen. Other characters, too, have traumas of their own – including Sadie’s grandfather, who has recently lost his wife, and the Edevane’s family friend Mr Llewellyn who gave up practicing medicine and suffered a breakdown. The narrative unfolds through the viewpoints of Sadie, Alice and Alice’s mother, Eleanor, with dates at the beginning of each chapter helping the reader to keep track and to gradually build a picture of both the events of the baby’s disappearance as well as those that lead up to it . These three female leads are complemented with a broad support cast, including Bertie, Sadie’s grandfather, Alice’s sister Deborah, the mysterious Ben Munro and Alice’s assistant, Peter. At 591 pages, this is a big volume, but the length is justified by the beautiful writing and the complexity of the plot. I wake up with the sun shining through the cracks in the dusty, crooked blinds. Down the hall, other girls are using the showers and toilets. I need to go, but I closemy eyes and hold it in. I usually wait until everyone’s been gone a while before I go to the bathroom, because fat Karen always leaves the place smelling like a sewerage treatment plant. Considering how much she eats, she probably drops a huge elephant turd every morning. Wouldn’t that be the definition of a home, a place where you don’t mind the smell of the other people who’ve gone to the toilet before you? Len, a young teenager, is in a children’s refuge house. She was found in a wrecked car in a gully after what appears to be more than a car accident. Len’s not even her real name, but a name that was on the jumper she was wearing when found. Her body is healing, but her brain has shut down some of the memories of before. She’s prickly and inward looking. She has little tolerance for those around her, and cleans obsessively. She’s resistant to the efforts of the live-in counsellor and even more reluctant to go to school, though she’s clearly bright. She’s a loner. Gradually, memories return, although she doesn’t tell her counsellor. This is her story and she trusts no one else with it. Not until she’s remembered the worst thing, the memory of how she came to be in that car. And that reminds her that she may still be in danger. <a href=”http://www.fishpond.com.au/product_info.php?ref=271&id=9781921665707&affiliate_banner_id=1″ target=”_blank”>Riggs Crossing</a>is the story of one girl’s road to recovery after severe trauma. It’s set in contemporary Sydney and also in the interior world of a young teenager. A teenager whose childhood memories return in unexpected flashes that don’t always make sense. Meanwhile she shuts out the world around her using all manner of anti-social but protective behaviours. Heeter shows the reader that everyone has a story and it’s impossible to engage with anyone without some sense of where they’ve come from. Len’s thirst for knowledge, both of her own history and of the world around her is clear, even when often camouflaged by her prickliness with her housemates and those who would care for her. Recommended for secondary readers. Available from good bookstores or <a href=”http://www.fishpond.com.au/product_info.php?ref=271&id=9781921665707&affiliate_banner_id=1″ target=”_blank”>online</a>.